Deepwater Living at its Finest! When people think of Charleston, images of moss-draped oaks, beautiful marshes and winding creeks come to mind. With is close proximity to the Atlantic Ocean, this idyllic picture of Charleston is actually extremely realistic and one of the many reasons that people from all over flock to Charleston each year. Wadmalaw Island (0 Anchor Watch Drive): This large 9.65 acre lot is located in Wadmalaw Island’s Anchorage Plantation. It sits on the Bohicket River and comes with a finished dock complete with a covered pier head, a 15,000 lb boat lift, floating dock, power and water. The neighborhood has many mature oaks and also has an amenity center and community boat ramp. Seabrook Island (21 Deer Point Drive): If you’re looking to live on the resort island of Seabrook, take a look at 21 Deer Point Drive. This beautiful 0.26 acre wooded lot has views of the ocean as well as views of the surrounding tidal creeks. Amenities on Seabrook Island include two golf courses, tennis facilities, a gorgeous clubhouse, equestrian center, pool and more. James Island (Ellis Oaks Ave): Located just over the bridge from downtown Charleston is the gated community of Ellis Oaks on James Island. We have three marsh front lots listed that range in size from half an acre to almost two-thirds of an acre. All offer marsh vistas, creek views and beautiful live oaks and the neighborhood has a community deep water dock. 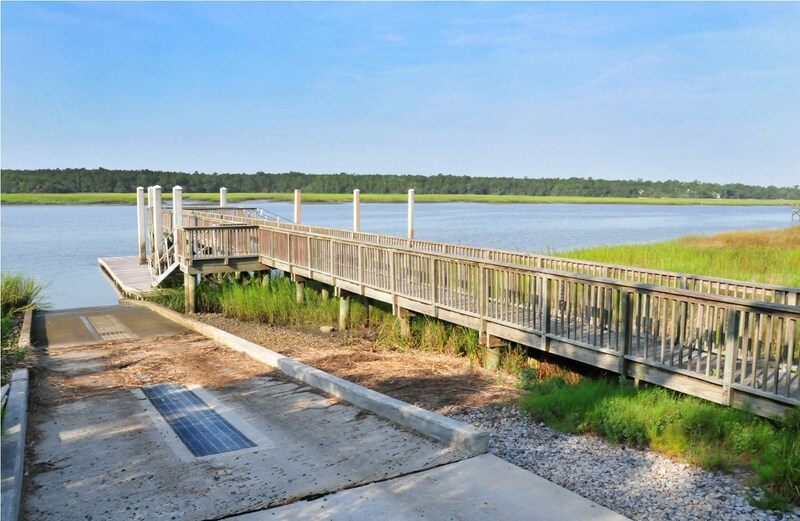 James Island (0 Daniel Whaley Road): If you’re looking for a reasonably priced lot on James Island, check out this 0.89 acre marsh front lot which is close to town, the County Park and municipal golf course. Paradise Island (Paradise Island): Nestled in Awendaw, Paradise Island is a private community that provides a peaceful retreat for those looking to relax and enjoy the pristine beauty of the Lowcountry landscape. With sweeping marsh vies, mature groves of shaded trees and the quiet sounds of nature, you will instantly be shrouded in a sense of peace when arriving on the island. Lots range in size from 0.39 acres to 1.15 acres and include deepwater and marsh front options. There is also a community boat ramp as well as public infrastructure already in place. Walterboro (0 Backfield Road): In laid-back Walterboro, SC, you will find these two lots for sale at 0 Backfield Road. Offering access to Chessie Creek and the Ashepoo River, you have the ability for great fishing and are only 28 nautical miles from the ocean. Purchasing any ones of these lots will give you the ability to build the home of your dreams! Click on the addresses above for more information or contact your Cassina Group agent.